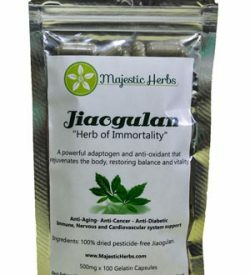 Of all the antioxidant rich foods, teas, herbs, antioxidant vitamins and supplements in the world that have been studied by man, Jiaogulan is unlike any other and is by far the best antioxidant supplement that you can take. This sounds like quite an extraordinary claim, and as the saying goes, extraordinary claims require extraordinary evidence. Here we will provide you with such evidence and explain why saying Jiaogulan is THE best antioxidant supplement ever discovered is not an exaggeration, but a scientific fact. Antioxidants produced by our bodies are thousands of times more effective than antioxidants we can get from antioxidant rich foods, vitamins, or supplements. The most powerful antioxidants in existence are superoxide dismutase, glutathione peroxidase, and catalase. These are absolutely vital for good health and longevity, but very difficult or impossible to obtain through diet. 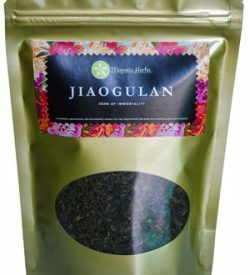 Jiaogulan does NOT act as a simple dietary antioxidant in the same way fruits, vegetables, and other teas like green tea do. Instead, Jiaogulan stimulates the body’s own production of all 3 most powerful internal antioxidants – superoxide dismutase, glutathione peroxidase, and catalase. In fact, drinking Jiaogulan is the ONLY known effective way to increase the body’s levels of superoxide dismutase – arguably the MOST powerful and important antioxidant of all! 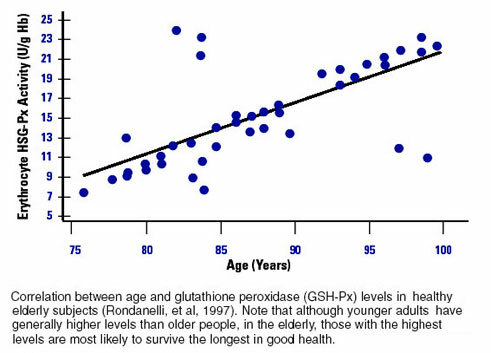 Superoxide dismutase and glutathione peroxidase have been directly correlated by scientific research to both good health and longevity. Before we can see why Jiaogulan is an antioxidant unlike any other, we need to understand just what antioxidants are, their different types, and their function in the body. Antioxidants first became popular in the 1990’s, when scientists began to understand free radicals and the impact they have on our bodies. Free radicals are atoms or molecules that are very unstable and react easily with cellular structures around them because they contain unpaired electrons. When free radicals oxidize important parts of the cell, those parts can no longer function normally, and this can eventually kill the damaged cell. Not only that, but the newly oxidized molecules will start acting like free radicals themselves, damaging other healthy cells. This can result in a cascade of oxidation that can be very damaging unless it is arrested. Many studies have shown that an increase of free radicals in the body causes or accelerates nerve cell injury and leads to disease. In fact, the currently most popular theory of aging and disease states that the gradual accumulation of free radicals, and the harm they cause, is responsible for many of the adverse changes that eventually cause aging and diseases like cancer, Alzheimer’s, arthritis, heart and liver disease, atherosclerosis, immune system decline, brain dysfunction, diabetes, and cataracts. Free radicals are not all bad however. They play a role in cell signalling and other beneficial processes when they exist in benign concentrations. The trouble begins when their numbers climb, which may occur as a result of aging or when unnatural stressors like air pollution, pesticides, smoking, alcohol, stress, etc. are present. Any compound or substance that can donate electrons and counteract free radicals is considered an antioxidant. Therefore, antioxidants are intimately involved in the prevention of cellular damage caused by free radicals. They are molecules that can safely interact with free radicals and neutralize them before they have the chance to damage vital cell parts. There are two main types of antioxidants. Those that are produced by the body itself are known as internal, or endogenous antioxidants. The ones that come from outside sources like foods rich in antioxidant vitamins are know as external, or exogenous antioxidants. Endogenous antioxidants are MUCH more powerful free radical fighters than exogenous ones. People in general are only aware of dietary antioxidants – the kind that can be found in foods like fruits and vegetables, drinks like green tea and coffee, and antioxidant supplements in the form of pills and capsules. There are thousands of dietary antioxidants, but the most common ones are vitamins A, C, and E, lycopene, and beta-carotene. Eating whole fruits, vegetables, and whole grains — all rich in networks of antioxidants and their helper molecules — protects against many diseases and premature aging. And as we get older, it becomes more and more important to eat plenty of foods rich in antioxidants. This is because our body’s natural defenses against free radicals diminish as we age, and so increasingly we need outside help in our battle against oxidation – the primary cause of disease and aging. When you factor in environmental pollution, toxins, stress, and bad habits like smoking, proper diet becomes doubly important. However, proper diet alone will eventually be insufficient and sooner or later we are all destined to succumb to the onslaught of free radicals. While antioxidants can also be produced artificially and consumed in supplement form, studies on the effectiveness of supplements have been inconclusive. Few people are even aware of them, but endogenous antioxidants are your body’s natural and primary defense against free radicals. There are 5 types of antioxidants produced by the body: superoxide dismatuse (SOD), alpha lipoic acid (ALA), coenzyme Q10 (CoQ10), catalase (CAT), and glutathione peroxidase (Gpx). Of these, the three most important ones are SOD, Gpx, and CAT, in that order. Endogenous antioxidants are literally hundreds and thousands of times more powerful free radical scavengers than ANY dietary antioxidant out there. These antioxidants are the reason why when we are younger, we can be healthy even if we don’t know what a fruit or vegetable tastes like. Unfortunately, our ability to produce them gradually decreases with age. For years, scientists have sought ways to increase our levels of SOD and Gpx, since these are the most powerful antioxidants in existence. While Gpx levels can be temporarily raised through special diet and exercise, the same cannot be said about SOD. The problem is that while some foods and plants contain SOD naturally, when it is ingested in the body it is quickly destroyed by stomach acids and intestinal enzymes, so virtually none enters the bloodstream. Until the discovery of Jiaogulan, no natural and effective ways of boosting SOD levels had been found. Superoxide dismutase is arguably the body’s most crucial antioxidant, since it is responsible for disarming the most dangerous and most common free radicals of all – the highly reactive superoxide radicals (oxygen with an extra electron). On the other hand, studies have shown a strong correlation between SOD levels in various animal species and their longevity. Dr. Cutler’s research showed that mice and rodents have the lowest SOD levels among mammals, and that SOD levels are highest among more highly evolved mammals, with humans displaying the highest relative SOD levels. Humans produce an average of 90 mcg/ml (micrograms per milliliter) of SOD and live an average of around 80 years. Our closest primate relatives, chimpanzees, produce 40 mcg/ml of SOD and live an average of only 40 years. In another example, pigeons live about 12 times longer than rats, even though they weigh the same. The difference is that pigeons have high SOD levels and produce about half as many free radicals as rats. Finally, fruit flies that have been genetically engineered to produce twice the normal level of SOD live twice as long as ordinary fruit flies. Cutler’s cross-species investigations strongly suggest that SOD is a primary determinant of longevity in mammals, and that increased SOD production plays a key role in the higher order of mammals’ evolution from shorter to longer life spans. Glutathione is the other vitally important endogenous antioxidant, produced within each and every cell of your body. It prevents cell damage by neutralizing free radicals and maintains dietary antioxidants such as vitamins C and E in their active forms so that they can keep fighting free radicals. Gpx plays a critical and integral part in detoxifying the body by binding to pesticides, heavy metals and other toxins until they are excreted. 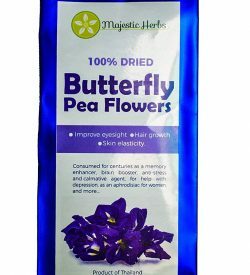 It also regulates protein and DNA synthesis and cell growth, and is critical in helping your immune system perform its role of fighting infections and preventing cancer. Lastly, glutathione helps us reach peak mental and physical function by decreasing muscle damage, reducing recovery time, increasing strength and endurance, and shifting metabolism from fat production to muscle development. A number of clinical studies have now clearly demonstrated that Jiaogulan causes an increase of SOD, glutathione and catalase levels, and this has a number of beneficial and protective effects on our bodies. These effects seem to become more important and pronounced as we get older. A Guiyang Medical College human clinical trial with 610 healthy middle and advanced age patients, aged 50 to 90 years old, showed that SOD levels returned to their youthful levels after only one month of daily intake of 20 mg of gypenosides (the main active ingredients in Jiaogulan)! Those between 70 and 90 years of age saw an average decrease in the harmful superoxide and other radicals of 21.4% and an average increase in internally produced SOD of 282.8%, while in the 50 to 69 age group there was a 15.6% decrease in oxidant levels and a 116.1% increase in SOD concentrations! Two follow-up studies at Guiyang Medical College with 80 human patients aged 42-55 suffering from endemic fluorosis (condition of fluorine intoxication brought about by excessive ingestion of fluorides) found that 10mg of Jiaogulan and Danshen extracts twice a day for 5 months increased the level of SOD in their red blood cells by 34.1% from 847 ng/mgHb to 1136 ng/mgHg on average. The SOD boosting effects was found to be solely caused by Jiaogulan’s gypenosides and not Danshen. Furthermore, patients had a 19% decrease in Malondialdehyde (MDA) levels, which is used as an indicator of oxidative stress (damage to cell structures due to excess of free radicals). In another 2-month double-blind experiment at the Shanghai Institute of Geriatrics, 51 elderly patients were administered 60mg of Jiaogulan gypenosides daily for 2 months, while a control group of 40 patients were given a placebo. This study too found a significant increase in SOD levels and significant decrease in cell damage from oxidation. In addition, the researchers saw an improvement in the patients’ memory. In addition to these landmark human studies, there has been a large number of animal and in-vitro studies demonstrating Jiaogulan’s ability to stimulate the production of SOD (superoxide dismutase)14 – 49, Gpx (glutathione peroxidase)24, 28, 30, 36, 37, 43, 44, 45, and CAT (catalase)37, 41, 43, 44. This ability to boost the organism’s own defenses against free radicals has been shown to have a profound protective effects on the body as a whole. 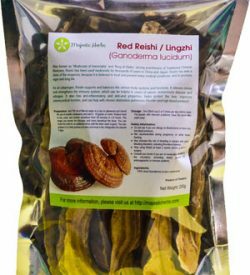 In particular, the increase in endogenous antioxidants by Jiaogulan was found to protect the cardiovascular14, 19, 20, 21, 22, 24, immune19, 25, nervous24, 26, 27, 28, 29, 30, 31, 42, and reproductive32 systems and various organs, such as the liver19, 33, 34, 35, 36, 37, 38, kidneys22, 24, stomach39, and skin40, 41. The increase of endogenous antioxidants was also found to have anti-inflammatory22, 46, anti-cancer 46, 47 and anti-aging 25, 40, 41, 48, 49 effects, and to be beneficial for athletic performance and faster recovery from exercise44. Jiaogulan’s remarkable ability to stimulate the body’s own production of both SOD and glutathione must be at the heart of the reason why it has been so strongly associated with anti-aging and longevity. Science seems to have finally found the mechanism to explain how and why so many Jiaogulan users in China lived to be 100 years old in good health, and why they called it “The Herb of Immortality”. We hope that it is now clear why we can confidently say that Jiaogulan is THE best antioxidant supplement anybody can take. Jiaogulan is not like any other source of antioxidants, because it does not act in the same way as fruits, vegetables, vitamins, and other herbs. Instead, its many saponins (the main active chemical compounds, also called gypenosides) have the ability to stimulate our bodies to produce the most powerful and vital antioxidants of all – the endogenous antioxidants superoxide dismutase, glutathione peroxidase, and catalase. This is extremely important, because these endogenous antioxidants are either impossible (in the case of SOD), or difficult (in the case of Gpx and CAT) to obtain from our food. Furthermore, since our ability to produce these endogenous antioxidants decreases dramatically with age, our bodies become increasingly defenseless against the onslaught of free radicals. This eventually leads to age-related diseases and death. These is no other substance ever discovered that can effectively stimulate the production of SOD, let alone ALL THREE of the most important and powerful free radical fighters. Not only that, but Jiaogulan has been shown to restore SOD levels in elderly people to their youthful levels! It is therefore not a stretch to say that Jiaogulan is a far superior antioxidant supplement than all other sources combined! 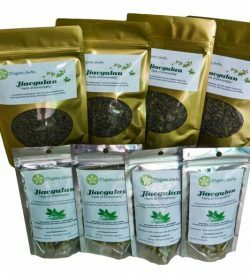 Being a true pharmacy in a cup, drinking Jiaogulan tea daily is certainly the easiest and most inexpensive way to make the greatest positive impact on your health! We are so sure you’ll love the effects of Jiaogulan, we offer a 60-day Money Back Guarantee. We also offer free shipping worldwide on orders over $60! But hurry up! Because we work with small organic farms, we have limited quantities each month. Order your Jiaogulan today and give yourself and your loved ones the greatest gift of all – good health! *Valid for single-item orders only. For larger orders, we ask that you return unopened items for a full refund. But hurry up! Because we work with small organic farms, each month we have limited quantities. The Alpha-Tocopherol, Beta Carotine Cancer Prevention Study Group (1994). “The effect of vitamin E and beta carotine on the incidence of lung cancer and other cancers in male smokers“.New England Journal of Medicine 330 (15): 1029–35. DOI:10.1056/NEJM199404143301501. PMID 8127329. Omenn GS, Goodman GE, Thornquist MD, Balmes J, Cullen MR, Glass A et al. (1996). “Effects of a combination of beta carotine and vitamin A on lung cancer and cardiovascular disease“.New England Journal of Medicine 334 (18): 1150–5. doi:10.1056/NEJM199605023341802. PMID 8602180. Maier CM, Chan PH. Role of superoxide dismutases in oxidative damage and neurodegenerative disorders. Neuroscientist. 2002 Aug;8(4):323-34. Fattman CL, Schaefer LM, Oury TD. Extracellular superoxide dismutase in biology and medicine. Free Radic Biol Med. 2003 Aug 1;35(3):236-56. Chung JM. The role of reactive oxygen species (ROS) in persistent pain. Mol Interv. 2004 Oct;4(5):248-50. Shin SG, Kim JY, Chung HY, Jeong JC. Zingerone as an antioxidant against peroxynitrite. J Agric Food Chem. 2005 Sep 21;53(19):7617-22. Zawadzka-Bartczak E. Activities of red blood cell anti-oxidative enzymes (SOD, GPx) and total anti-oxidative capacity of serum (TAS) in men with coronary atherosclerosis and in healthy pilots. Med Sci Monit. 2005 Sep;11(9):CR440-4. Li Y, Huang TT, Carlson EJ, Melov S, Ursell PC, Olson JL, Noble LJ, Yoshimura MP, Berger C, Chan PH, Wallace DC, Epstein CJ (December 1995). “Dilated cardiomyopathy and neonatal lethality in mutant mice lacking manganese superoxide dismutase”. Nat. Genet. 11 (4): 376–81. doi:10.1038/ng1295-376. PMID 7493016. Tolmasoff JM, Ono T, Cutler RG. 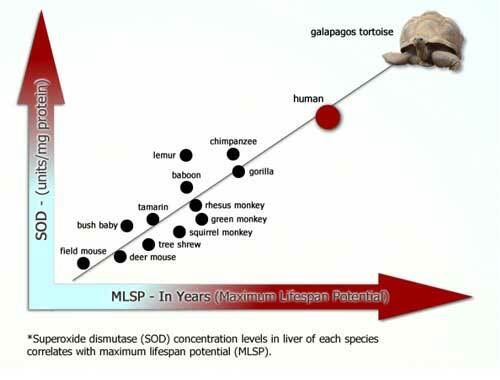 Superoxide dismutase: correlation with life-span and specific metabolic rate in primate species. Proc Natl Acad Sci U S A. 1980 May;77(5):2777–2781. Cutler, R.G. (1985) Peroxide-producing potential of tissues: Inverse correlation with longevity of mammalian species. Proc. Natl. Acad. Sci. U.S.A. 82, 4798–4802. Andersen HR, Jeune B, Nybo H, et al. Low activity of superoxide dismutase and high activity of glutathione reductase in erythrocytes from centenarians. Age Ageing. 1998 Sep;27(5):643-8. Micke P, Beeh KM, Buhl R. Effects of long-term supplementation with whey proteins on plasma glutathione levels of HIV-infected patients. Eur J Nutr. 2002 Feb;41(1):12-8. Lang CA, Mills BJ, Lang HL, Liu MC, Usui WM, Richie J Jr, Mastropaolo W, Murrell, SA. High blood glutathione levels accompany excellent physical and mental health in women ages 60 to 103 years. J Lab Clin Med. 2002 Dec; 140(6):380-1. IU Li-Bo, HU Bi, LIAO Duan-Fang; Protective effect of gypenosides on free radical damage of isolated guinea pig papillary muscles; Chinese Pharmacological Bulletin; 1993-04. Liu, Jialiu. “Effects of a gypenosides-containing tonic on the serum SOD activity and MDA content in middle-aged and aged persons.” Journal of Guiyang Medical College 19.1 (1994): 17. Lu, GH. et al. The effect of antioxidant herbs on the erythrocytic SOD activity and serum MDA content in patients with endemic fluorosis. Guizhou Medical Journal 1998; 22(3): 25. Zhang, XL et al. Study of the antioxidant effect of Danshen extract in aged persons and patients with fluorosis. Chinese Journal of Endemic Diseases. Chinese. 1998; 17(4):234. Cheng, YH et al. The effect of antioxidant Chinese herbs on SOD activity, MDA content and ultrastructural damage of the kidney tissue in mice with chronic fluorosis. Chinese. Guizhou Yiyao (Guizhou Medical Journal) 1998; 22(2): 94. Wang P, Niu L, Gao L, Li WX, Jia D, Wang XL, Gao GD. Neuroprotective effect of gypenosides against oxidative injury in the substantia nigra of a mouse model of Parkinson’s disease. Journal of International Medical Research, 2010 May-Jun;38(3):1084-92. Feng Q, Li X, Peng J, Duan X, Fu Q, Hu Y. Effect of gypenosides on DMN-induced liver fibrosis in rats. China Journal of Chinese Materia Medica, 2012 Feb;37(4):505-8. Gao D, Zhao M, Qi X, Liu Y, Li N, Liu Z, Bian Y; Hypoglycemic effect of Gynostemma pentaphyllum saponins by enhancing the Nrf2 signaling pathway in STZ-inducing diabetic rats. ; Archives of Pharmacal Research; 2014 Jul 29. Zhuohong Xie et al. ; Chemical Composition of Five Commercial Gynostemma pentaphyllum Samples and Their Radical Scavenging, Antiproliferative, and Anti-inflammatory Properties. ; Journal of Agricultural and Food Chemistry; 2010 Nov 10;58(21):11243-9. doi: 10.1021/jf1026372. Epub 2010 Oct 12.